Peter the Great Music Academy was founded in St. Petersburg in 1997 as an institute where young conductors from around the world would learn, advance, and perfect their conducting skills through working with some of the world's best contemporary conductors. The traditions of Mravinsky at the St. Petersburg Philharmonic and the Kirov Theatre, the teaching legacy of Ilya Musin at the St. Petersburg Conservatoire (mentor of both Yuri Temirkanov and Valery Gergiev) contribute to make this Academy the center of orchestral conducting instruction in the world. One of the most distinctive advantages of the masterclasses organized by the Academy is the fact that all participants have an opportunity to work with and conduct highly professional orchestras in the renowned Bolosselsky-Belozersky Palace (the City Cultural Center), the Hermitage Theatre, and other venues. Every masterclasss always demands that each participant is able to digest the teaching methods thought by the Conservatory and its great teachers. The Academy also arranges concerts in Russia, Ukraine and other countries for conductors who want to gain further experience through working with professional orchestras. Many conductors have, in this way, advanced their skills, built their professional resumes, and obtained positions with professional orchestras in their own countries, thanks to the experiences that they acquired here. There is always time to enjoy the beauty of St. Petersburg, the concerts at St. Petersburg Philharmonic, as well as the Kirov Opera and Ballet Theatre. And St. Petersburg is in reach of many historical and cultural locations to explore. 2007 marked the 10th Anniversary of Peter the Great Music Academy, as well as the launch of this website. We hope that our presence on the internet will contribute to the expansion of our international masterclass and to its continued success! 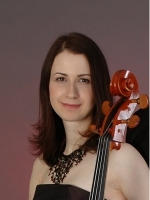 Born is St. Petersburg, Dr. Elena Kostyuchenko is the General Manager of Peter the Great Music Academy. 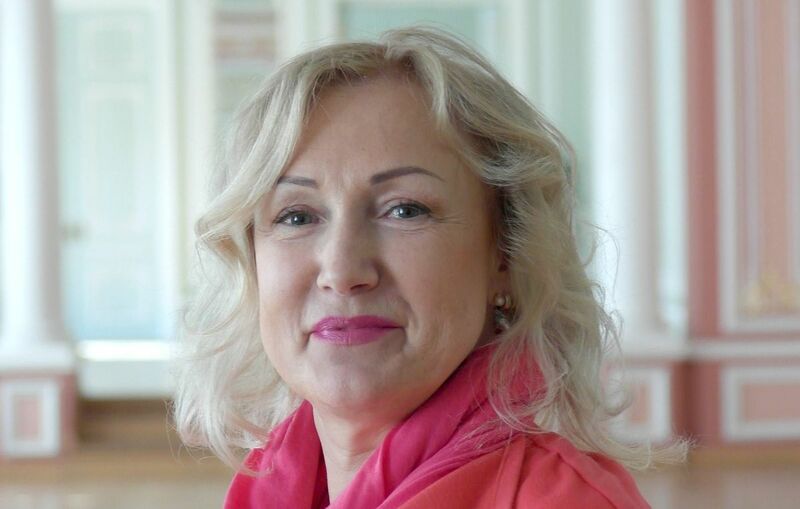 She is also the General Manager of Symfonia St. Petersburg Orchestra, General Manager of the British Music Festival, and has produced many festivals in Russia, such as the American Music Festival, the Swedish Music Festival, etc. She organized tours for various Saint Petersburg based orchestras in Europe (Germany, Austria, Switzerland, Sweden, Finland ), USA, Costa-Rica and other countries. From 1997 Kostyuchenko is the organizer of the Annual International workshop for conductors under Peter the Great Music Academy, featuring some of the best St. Petersburg orchestras, and featuring participants from all over the world. She has introduced many great artists to Saint Petersburg audiences at the Grand Hall of the D. Shostakovich Philharmonic: Gary Carr, double bass (1995); Barbara Hendricks, soprano (1996); pianist Rosalyn Tureck (1996); William Warfield, bass baritone (1998); John Bruce Yeh, principal clarinetist of the Chicago Symphony (1998), and others. She has represented many successful artists from Europe, the United States and Russia, engaging them with many Russian orchestras in Saint-Petersburg, Moscow, Yaroslavl, Pskov, Novgorod, Kaliningrad, Sochi, Petrozavodsk, Mineralnye Vody, Maikop, Krasnodar, etc., as well as neighboring countries. These include recording activities, and presentation of new music to the Russian audiences. She has collaborated with various European festivals in Finland, Switzerland, Latvia, Germany and France. She holds the Certificate in Artist Management (following the internship in San Francisco, USA) and the Diploma from the Russian American Center of Citizens Initiative. She is also the candidate for PhD at Saint Petersburg State University. After graduating with distinction from the Music Lyceum and Music College of the N.A. Rimsky-Korsakov St. Petersburg State Conservatory, Russia, continued her studies at the Hochschule für Musik Detmold receiving diplomas in performance and pedagogy, and completed her postgraduate study at the Hochschule für Musik Dresden, Germany. Won her first international competition, the Charles Hennen Concours, at the age of 16, received scholarships from the DAAD, Kronberg Academy and Brücke/Most Stiftung, made several recordings including live performances for radio. Performs in Russia, Germany, Austria, Switzerland, Italy, France, the Netherlands and Czech Republic. Currently works at the Faculty of Liberal Arts and Sciences of the St. Petersburg State University. Amos Chia (Chiya) is a Singaporean conductor, pianist and composer. Chiya has already worked with orchestras such as the St. Petersburg State Symphony Orchestra, Orchestra of the St. Petersburg State Theatre “Music Hall”, Orchestre de Chambre de Bordeaux, Baltic Sea Philharmonic, Budapest Symphony Orchestra MAV, Manila Symphony Orchestra, 1B1 Ensemble, Sichuan Symphony Orchestra, George Enescu Philharmonic, amongst others. He was also an assistant conductor with the Mariinsky Theatre Orchestra, Kuopio Symphony Orchestra, Iceland Symphony Orchestra, BBC Philharmonic, Trinity Laban Symphony Orchestra, and was a cover conductor for the London Sinfonietta. In 2015, Chiya was named Principal Conductor of the St. Petersburg Rachmaninoff Society. Equally at home at the theatre, Chiya has worked with the orchestras of the St. Petersburg Bolshoi Kamenny Theatre, Shanghai Opera House, Opera Royal de Liege-Wallonie, Opera Viva (Singapore), and conducted Der Fliegende Holländer at the Singapore International Festival of Music, the first Wagner opera staged in Singapore. Whilst still a student, Chiya made his debut as an emergency substitute conductor to a sold-out crowd at the St. Petersburg Music Hall State Theatre, for which he was immediately re-invited as a guest conductor in 2017. Highlights in the 2017/2018 season include taking up the position of Associate Conductor with the Karaganda Symphony Orchestra, important debuts with the St. Petersburg Ballet (Hermitage Theatre), Murmansk Philharmonic Orchestra, Tomsk Philharmonic Orchestra, as well as joining the Sichuan Symphony Orchestra on its Singapore tour, and returning to the Iceland Symphony Orchestra and the BBC Scottish Symphony Orchestra as an assistant conductor to Yan Pascal Tortelier. Chiya began his music education in London, where he studied composition and piano at the Trinity Laban Conservatoire. 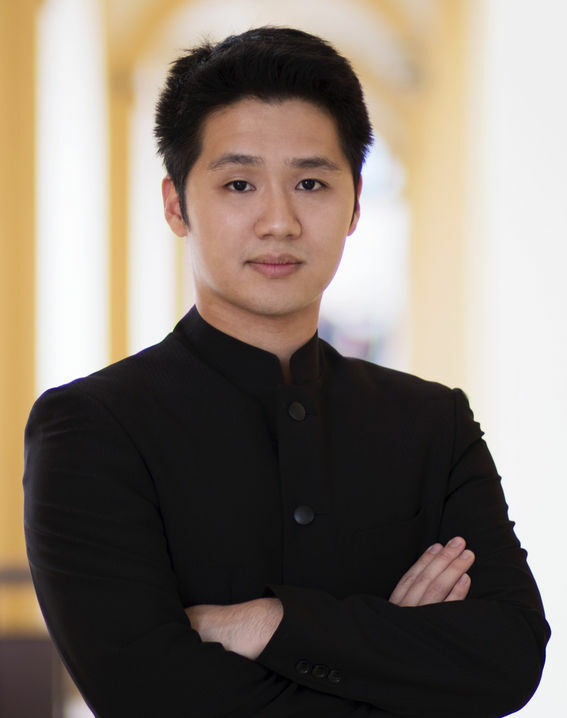 He was later awarded the F.J. Benjamin-Singapore Symphony Orchestra bursary to study operatic and symphonic conducting at the St. Petersburg State Conservatory, and was a Conducting Fellow at the Gartow Stiftung in 2014. Chiya is currently affiliated with the Mariinsky Theatre as a musical assistant and apprentice to Leonid Korchmar, as well as assisting and studying with Yan Pascal Tortelier at the Iceland Symphony Orchestra. His other mentors include Tsung Yeh, John Nelson, Teodor Currentzis, Kristjan Jarvi, and Ed Spanjaard.